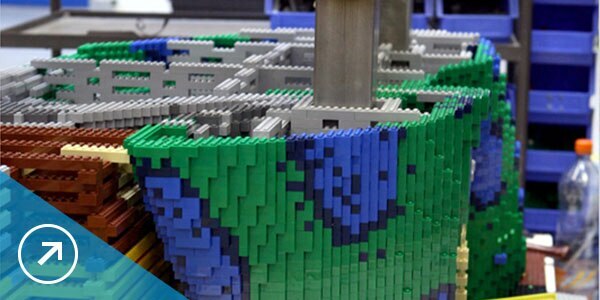 Grown-up engineering transforms a childhood favorite. 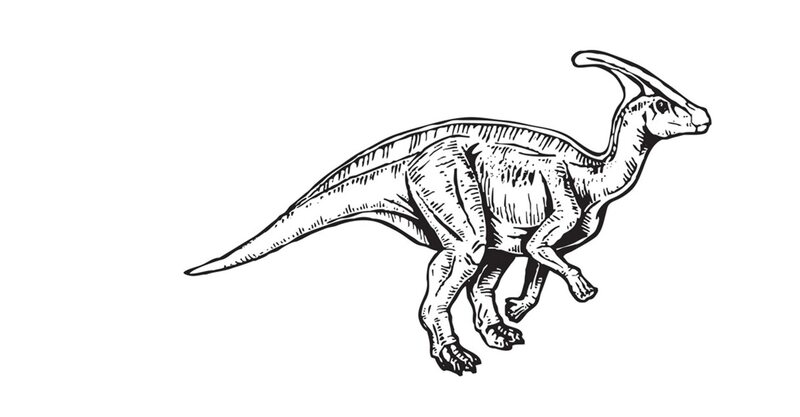 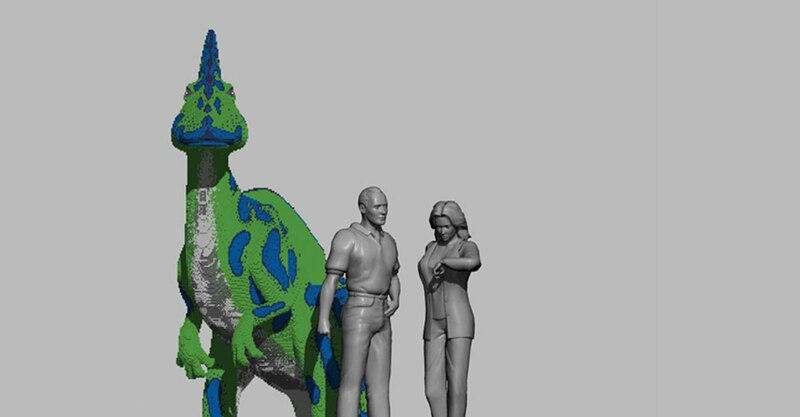 An 8.5-foot LEGO dinosaur may be for kids, but creating one takes a lot more than a small pamphlet with numbered instructions. 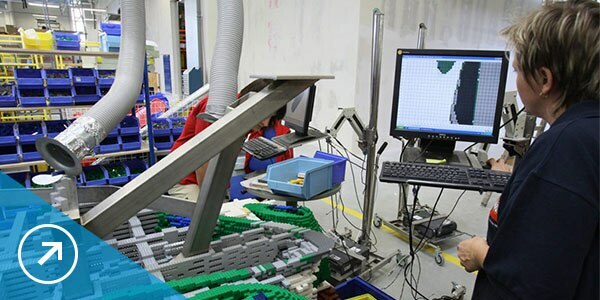 LEGO used a combination of 3D modeling and its own proprietary software before constructing piece-by-piece virtual versions of the large-scale creations. 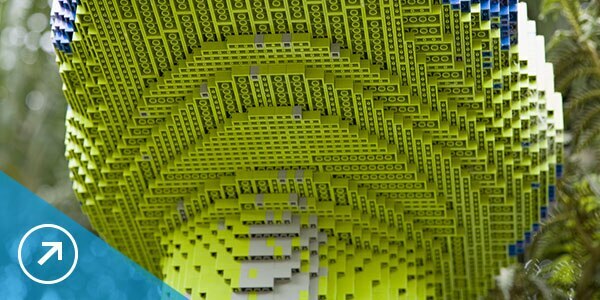 By constructing digital prototypes of its exhibits, LEGO can assess ideas for structural feasibility, create realistic construction schematics, and move easily into fabrication. 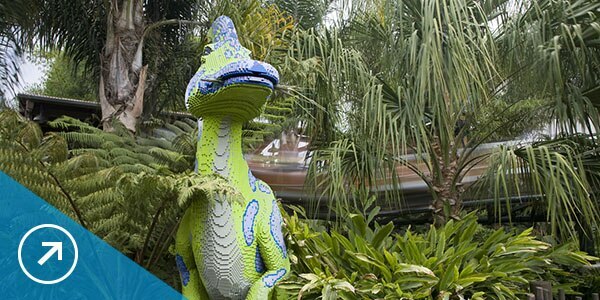 Designed at LEGO headquarters in Billund, Denmark, and fabricated at a LEGO plant in the Czech Republic, the Autodesk Gallery dinosaur is a replica of the model in the LEGOLAND theme park in Carlsbad, California. 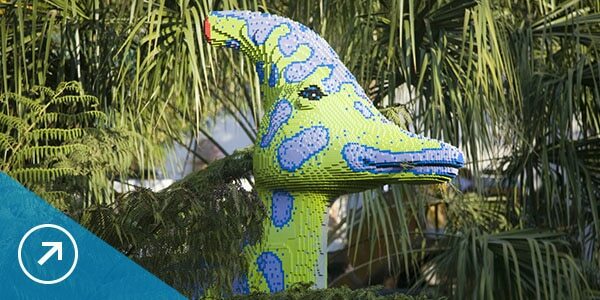 Models like this dinosaur are exhibited at LEGOLAND theme parks, as well as retail locations and special events worldwide. 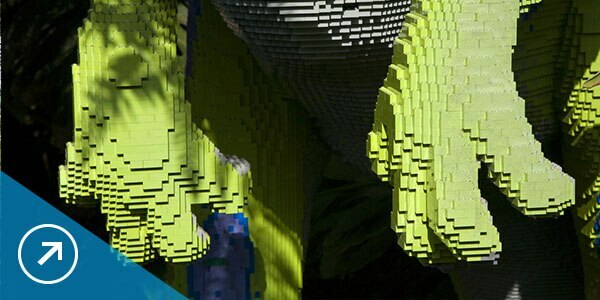 Each year, LEGOLAND theme parks are visited by approximately 5.5 million people who come to admire and play in the world of LEGO. 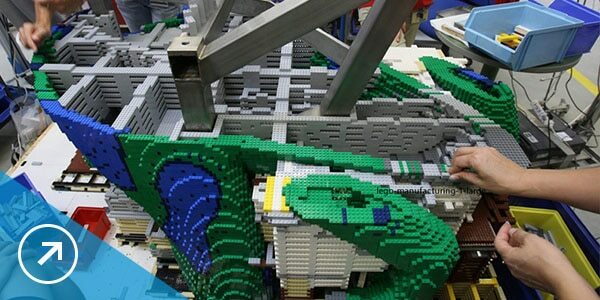 With 62,500 individual pieces, our LEGO dinosaur is an exhibit that people literally can’t miss.